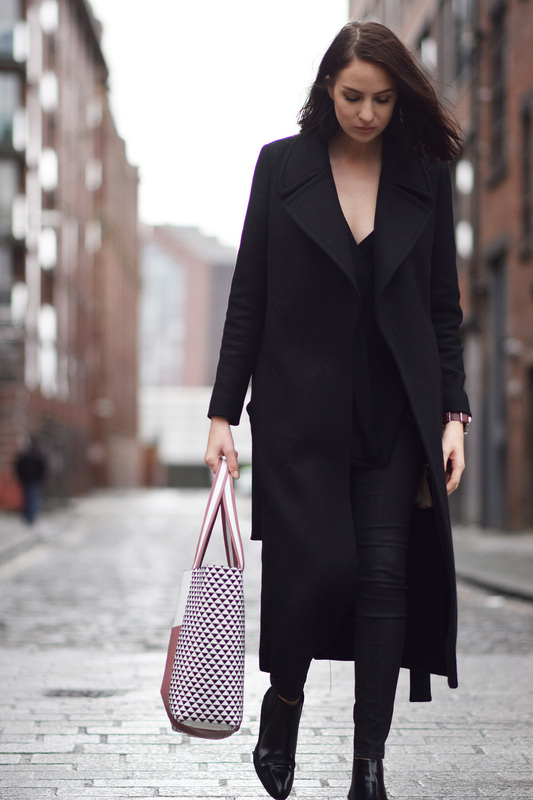 Whyyy have I never thought to add a bit of a statement bag into my wardrobe before now?! I think because I am all about the minimal style, that the word 'statement' doesn't often fit well. But after welcoming a pretty wild coat into my winter wardrobe, I have been a little more open minded about pieces that could be considered a statement. And so when the opportunity came along to get my hands on a piece from the Radley x Jonathan Saunders collection, I jumped at the chance. Not wanting to get too carried away, I teamed my new bag with an all black look and I have to say I am lurrrvvinggg the final outfit! !